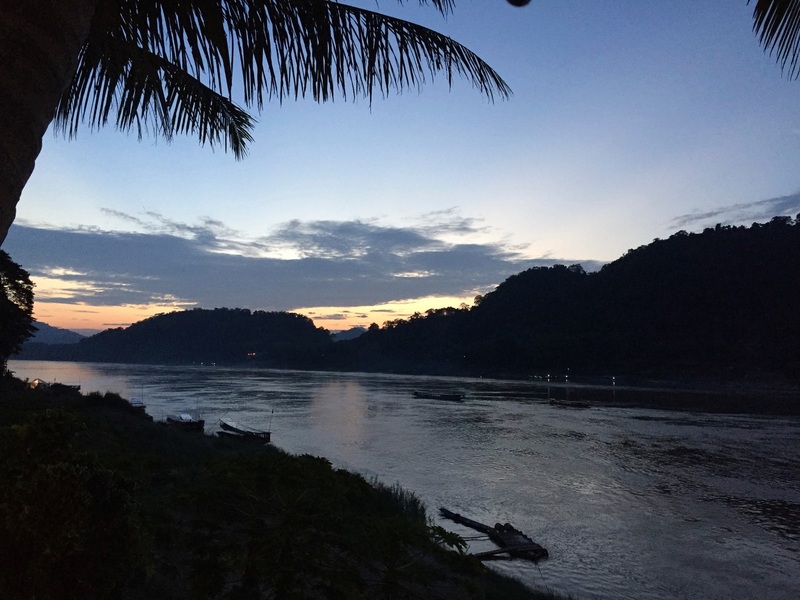 6 AM in Luang Prabang. Though only a short one hour flight from Hà Nội in Việt Nam, the UNESCO World Heritage City of Luang Prabang in Laos is in another world. Of another world. And still in this world. Luang Prabang has not been ruined by development. 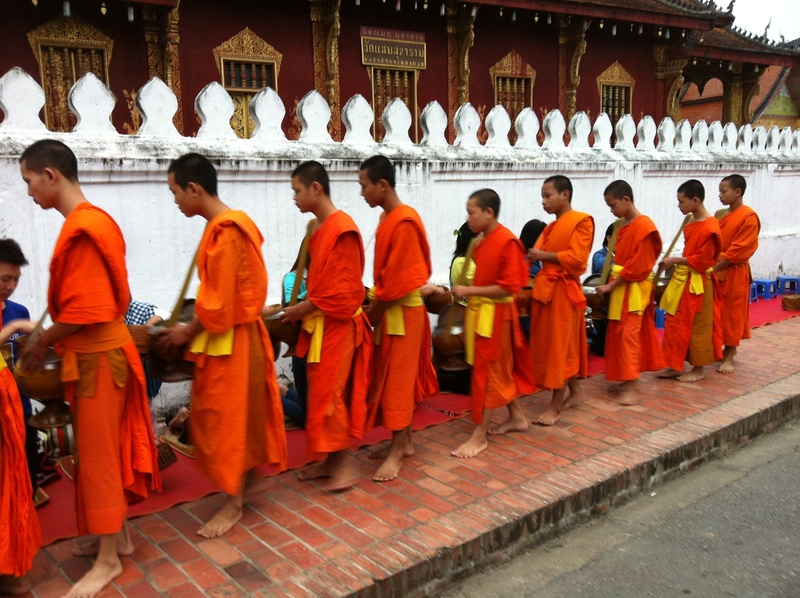 The daily alms ceremony shown above is centuries old and respected with calm observation from bystanders. An awareness campaign throughout the city reminds visitors to keep the ceremony respectful. The city awakes every morning at 4 AM to the sound of a deep temple gong, rousing the monks to meditation. A peaceful life rhythm each day.